If you’ve never made your own edibles before, the first thing to know is that most food isn’t straight up “infused” with weed. No, as fun as it may sound, your pasta won’t turn out green from mixing dough with bud. That’s because pasta, pizza, salad, fried eggs, or vegetables — whatever it is that you make requires a cannabis-infused base, likely in the form of oil. Because THC, the main psychoactive compound in cannabis, is fat soluble, oily substances are the best way to infuse your munchies. THC and fats are hydrophobic, meaning that they dissolve in lipids when they’re heated, and then stay in your body’s adipose (fat) tissue for at least 30 days. You won’t stay high for 30 days, but you might fail a urine-based drug test. 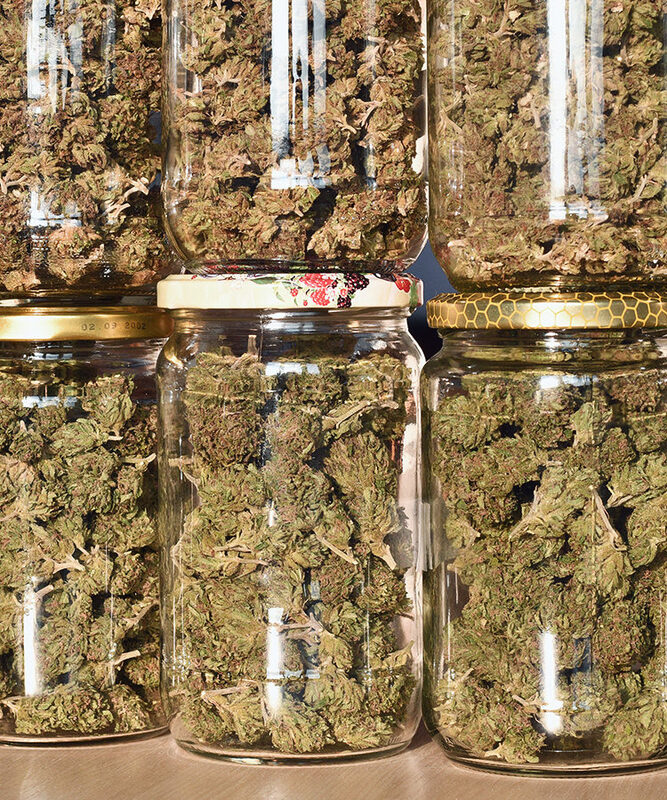 Usually, people use fats like olive oil, coconut oil, or butter, to infuse with weed. The method is generally the same for each. You’ll need about a cup of cannabis flower (or less, if you want it to be less strong) and a cup of cooking oil. Grind the cannabis down (but not too small, as then you’ll end up eating it) and combine it with the oil of your choice a slow cooker. Heat them together for about six hours, allowing for decarboxylation, which activates the THC without burning the ingredients. If you use a saucepan, you probably only have to keep them on low heat for about three hours. Never cook the oil at more than 245 degrees Fahrenheit. When it’s done cooking, strain the oil through a strainer or cheesecloth, and get rid of the remaining plant material. Then you can use the oil in whatever recipe you want. It should stay good for at least a couple months. If you don’t want to make your own infused oil, however, you can opt to buy some. Brands like Pot d’Huile, a bud-infused olive oil, allow cannabis edible chefs to cook medicated treats without having to first buy a bunch of weed to make the fatty base. With pre-made infused oil, you can also be sure the dose and potency is the same with every specific quantity you use. Made with California-grown olives and cannabis, Pot d’Huile contains a milligram of THC per milliliter of olive oil. The oil includes cannabis flower like Gorilla Glue #4, an indica-dominant hybrid, and Girl Scout Cookies, a sativa-dominant hybrid. Whether you drizzle the olive oil over your pizza, mix it with salad dressing, or make a pesto sauce out of it, the uses are endless. Just be sure to measure it out so you don’t get too high.